Guest post by my son below. 1) Decide what you want to make, and decide how you're going to make it. 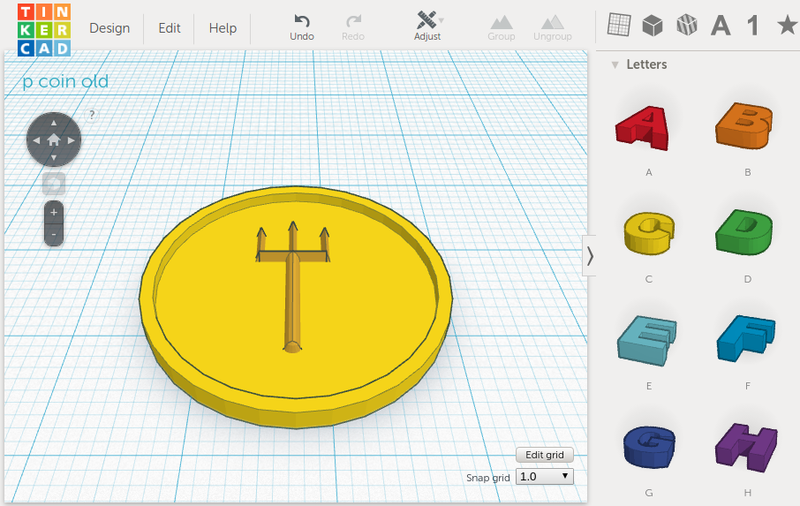 I decided to make a coin with a trident on the front and a lightning bolt on the back with the gods names on it. 2) Discover Tinkercad.com and take lessons for 3D printing at the public library for the basics of learning how to print. 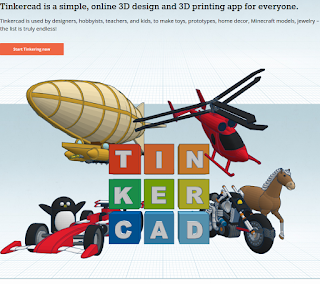 3)In Tinkercad, go to “search” and type in the thing you want then right click “design” and press “save”. 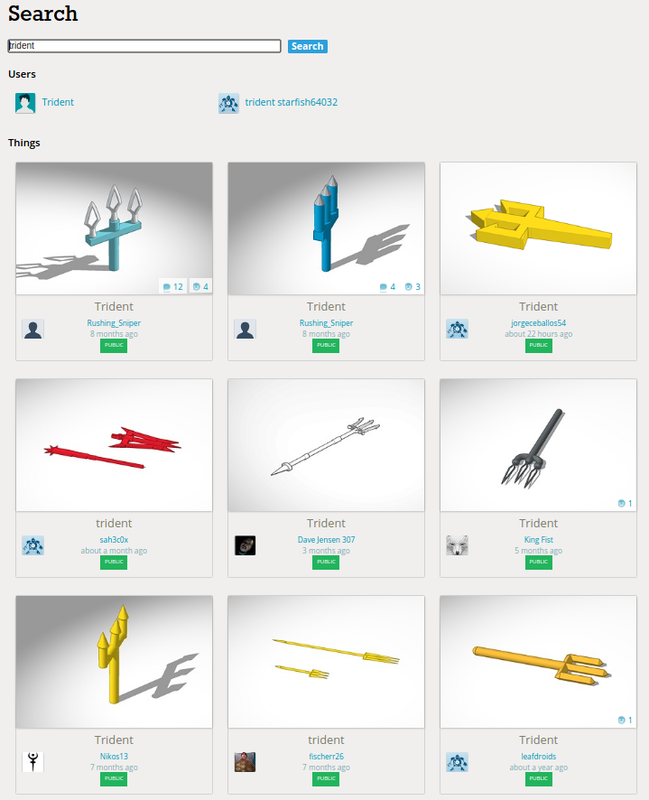 So,I searched for a trident and a lightning bolt and pressed “save” on both of them. 4)To get the words on, go to the right side and scroll down and get the letters and put them in a random spot to spell the word. 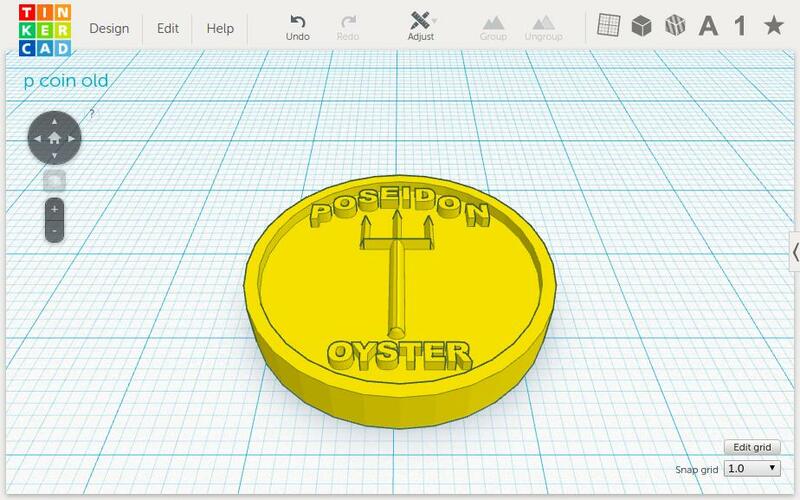 For example: “Poseidon” and “Zeus”. Then grab the side (it’s black) and press shift at the same time and drag in to make the letters smaller. 5)I had the coin from search and I got the words and went to “design” and right clicked it and pressed “paste” in a random space and the lightning bolt appeared and I put everything together. But I might of had to raise some stuff to get it higher on the coin so it would show. 6) I went to the library and printed it. 7) I spray-painted the coins in silver.